But wait until you see the price. Five years since it completed its first flight demonstration, Dutch company PAL-V is finally accepting pre-orders for Liberty. The vehicle’s three wheels and retractable top-mounted rotor may make the vehicle looks more like a gyrocopter than a traditional sedan, but it can drive and fly. Revolutionary machines such as this will naturally prompt questions about regulations surrounding their use. But PAL-V assures consumers that the Liberty was not only designed to overcome technical and qualification challenges, it also complies with existing safety standards, as well as car and aviation regulations. 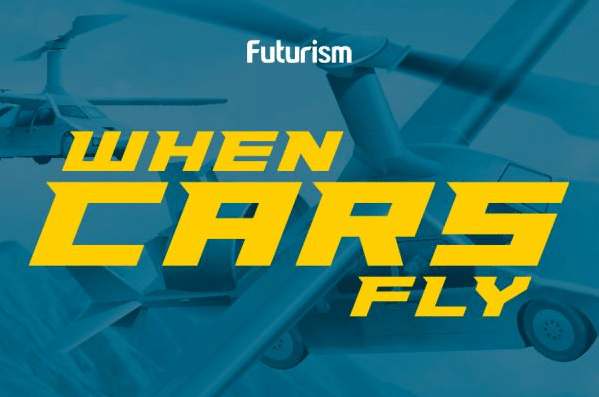 As far as driving/flying hybrids go, there really isn’t anything to benchmark the Liberty’s performance on, given that it’s the “first certified commercial flying car” to ever hit the market. Still, its specs are pretty decent. On land, it has a top ground speed of 161 km/h (100 mph) and can drive 1,315 km (817 mi) on a full tank. Airborne, it can go up to 180 km/h (112 mph), however it will require refueling every 499 km (310 mi). The Liberty starts at $400,000, so there’s a pretty hefty price tag attached to it just for the basic Sport model. It’s likely that total cost will go upwards of $600,000 to get the “Pioneer” edition, which comes with exclusive training sessions, power heating, and an electronic flight instrument display. Production is slated for the end of 2017 and delivery for the vehicles are scheduled for 2018. Until then, interested drivers/pilots are expected to give a non-refundable deposit of $10,000 for the Sport and $25,000 for the Pioneer.